You're probably tired of writing code to display notifications in your applications, the library abstracts all the notifications construction process for you in a single line of code. Magic? Lie? I summarize in: productivity. To further improve productivity, pugnotification from release 1.2.0 now has support Android Wear. Handling ImageView recycling and download cancelation in an adapter. Complex image transformations with minimal memory use. Automatic memory and disk caching. Simple notification with just text and message. 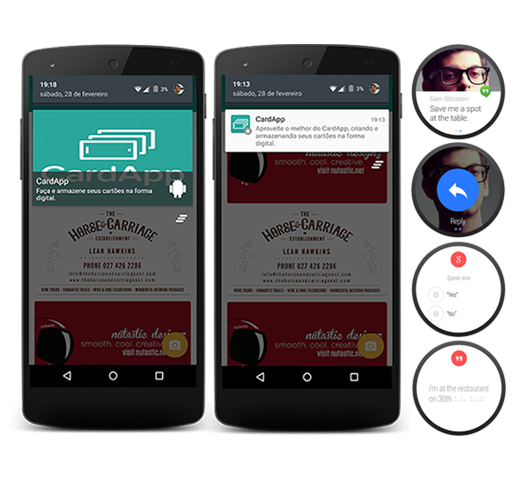 PugNotification from release 1.2.0 started to support all types of notifications to Android Wear. We try to anticipate us to make life easier for developers to develop applications for wearable. Adding method for cancellation in tag-based notifications. And added validation to ensure that the color assigned in the method is @ColorRes. Added a new type of notification, progress. Now you can assign the basic features of a notification, while also adding a progressbar in the notification. It was also added new method: ongoing (). With it possible to make false removing the notification. Fixed bug that did not allow the award of a sound and made some organizations and otimizaçnoes the code. Method has been added that allows informing the existing configuration of the default notice. By default it is already configured with Notification.DEFAULT_ALL if you want to change just inform the new configuration in the defaults method (int defaults). 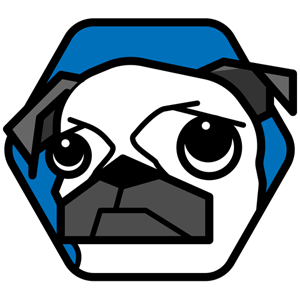 PugNotification supports placeholders if download the image in the background is not successful. The library already have a default placeholder size 622x384. When submitting code, please make every effort to follow existing conventions and style in order to keep the code as readable as possible. Please also make sure your code compiles by running gradlew clean and gradlew assemble. Copyright 2013 Halyson L. Gonçalves, Inc.